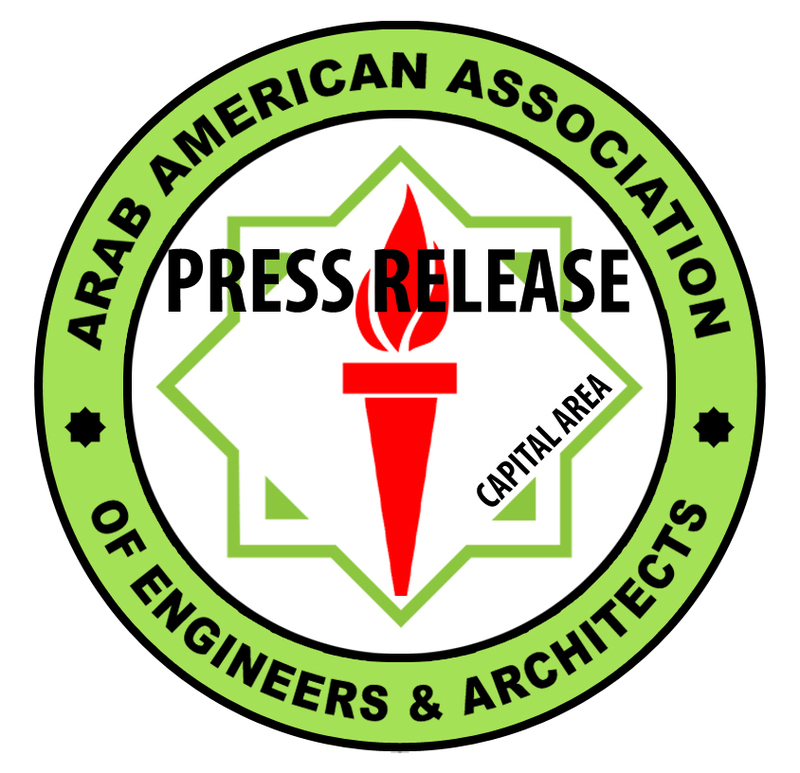 The Arab American Association of Engineers and Architects (AAAEA) - DC Chapter is pleased to announce the 2017 Scholarship Award recipients. We would like to thank everyone who applied for the scholarship and congratulate those who were selected this year. AAAEA-DC scholarship program was established 8 years ago to provide financial assistance to capable and talented college students who pursue an education in Engineering, Architecture or Computer Science. Since the scholarship program was established and to-date, AAAEA-DC has awarded $21,500 to deserving future leaders of our community. We are proud to honor these remarkable young adults. In addition to successfully managing their academic studies, these students volunteer and give back to help their local communities, and inspire their peers and all of us, demonstrating that nothing stands in the way of pursuing one's goals. 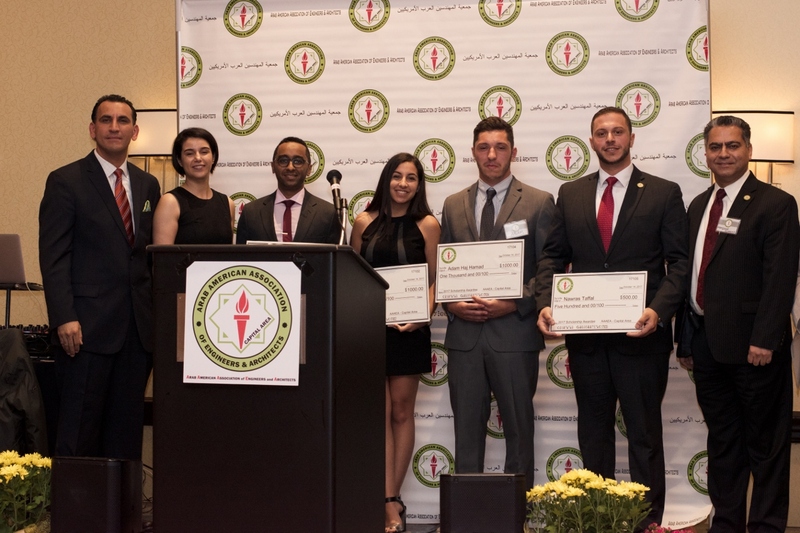 This year scholarship recipients are Arowa Suliman, Gaby Shahine, Hayat Jabour, Adam Haj Hamad, Nawras Taffal, Ismael Chebli, and Monzer Houssein. Arowa Suliman is currently pursuing a Bachelor of Science degree in Computer Engineering at UMBC where he demonstrated high level of academic achievement. In addition to focusing on education, he is active in volunteering activities on campus supporting multiple student organizations. Gaby Shahine is currently enrolled in dual majors in Math and Biomedical Engineering at two institutions including Notre Dame of Maryland University and Columbia University. Gaby demonstrated and showed a keen student-scientist interest with dedication to the biomedical field. She completed internship at prestigious medical organizations including John Hopkins where she supported a research project related to cancer. She is also active on campus volunteering work as well as the AAAEA Youth Committee. Hayat Jabour is pursuing a Bachelor of Science degree in Bioengineering at the University of Maryland. In addition to her academic achievement, she is engaged in extensive list of extracurricular activities both on campus and in her community. She completed multiple internships on relevant interesting engineering projects including work related to the ethical challenges facing innovations in bioengineering. Adam Haj Hamad is currently a junior student pursuing a Bachelor of Science degree in Chemical Engineering at UMBC. In addition to his educational achievement, Adam is an active member of the Youth Committee of AAAEA as well as many other local community organizations. He offered good perspective on the role of a Chemical Engineer in dealing with issues such as climate change and environmental protection processes. In addition, he is engaged in a campus-wide project on reducing energy use on campus. Nawras Taffal is a Civil Engineer who has hands-on experience in various specialties specifically related to Post-Tensioning Concrete reinforcement. He currently further advancing his engineering career by pursuing a Master degree in Public Administration with a Concentration in Public Management focused on engineering projects at George Mason University. Nawras has a tremendous list of extra curriculum activities where he demonstrated a great level of leadership. He acquired multiple engineering and management related certificates and he is the founder of Young Engineers of America, an organization that inspire and support young students who have interest in the engineering field. Ismael Chebli is currently pursuing his Bachelor of Science degree in Computer Science / GIS from the University of Maryland. Ismael has completed multiple internships in software engineering. His area of interest includes the evolving history of computer science and the meaning of the concept of "Artificial Intelligence". Monzer Houssein is pursuing a Master degree in Civil Engineering with emphasis on structural engineering and construction management at Wayne state university. Monzer's area of focus included an interesting engineering research project on the evaluation of the use of ash instead of sand and gravel to produce stone, blocks and brick where researchers found that the use of ash produced lighter and stronger material making it easier to hold and work with. Congratulations to all of 2017 scholarship recipients and the Education and Career Enhancement Committee is looking forward to grant additional scholarships to more talented and qualified candidates in the future.